There’s a reason the bathroom is called the “Throne Room.” Don’t put just any toilet in your bathroom. Lindstrom carries the latest from Kohler and Briggs, bringing comfort, technology, and even good looks to your bathroom. No longer is the toilet just an after thought, but now it can be the centerpiece. When choosing the best toilet for your home, you’ll want to consider the flushing type desired, shape of the toilet, and the size. Most Kohler styles come with the Comfort Height feature, which offers chair-height seating to make sitting and standing easier for most adults. The size and shape of the bowl is dependent on your comfort—some liking a more elongated bowl while others a more circular bowl. Briggs toilets offer Dual Flush, which allows you to choose between 1.0 or 1.6 gallons per flush, helping conserve water and energy. Click here to see what style Kohler toilets we offer. 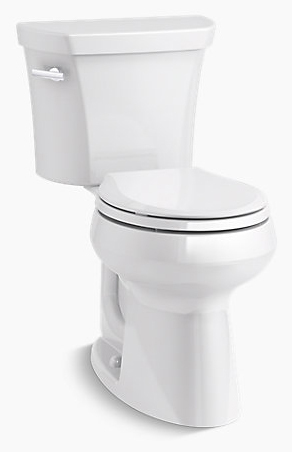 Click here to see what style Briggs toilets we offer.